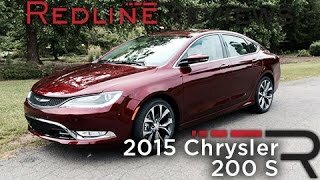 Chrysler introduced its 200 Sedan to replace Sebring, though not completely changed but people still appreciated the step. But seems like Chrysler isn’t satisfied or they understood that it’s high time for it to bring some major modifications in its 200. Here we are at the 2014 Detroit Auto Show, Chrysler unveiling its 200 Sedan 2015. Let us have a close look to what all company has modified to attract larger market towards its new release. Interior of Chrysler 200 Sedan is all dipped in high quality material giving you soft touch and rich feel accompanied by some latest technologies. Bottom of the dash matches seats while the front comes painted in dark. Right behind the gorgeous steering-wheel is located a seven-inch full-color LED instrument cluster providing all vital information to the driver, including outside temperature, compass and navigation. Major sight of attraction in its highly spacious cabin is, the Uconnect system with an 8.4 inch touchscreen. The system keeps you updated with fuel prices and other latest information. Adding to safety the system inside Chrysler 200 Sedan 2015 comes with voice-activated navigation, hands free voice commands and voice to text. 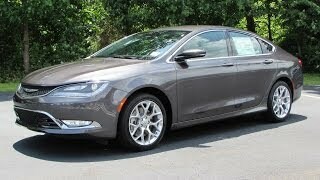 Exterior of Chrysler 200 Sedan 2015 brings some new design features for the series. Starting with the changes, first to knock is its all new designed grille carrying updated Chrysler Badge and next are the LED headlights incorporating LED daytime running lights in it. Beneath is the body-colored bumper with large air vent in center to maintain the proper flow of fresh air to engine while both the ends are adored with beautiful fog lights. We didn’t notice many changes at the rear apart from its LED taillights. Adding to bit of aggression to this decent model is its dark look through the gloss-black trim (standard version) and yes the 19” Hyper Black aluminum wheels. 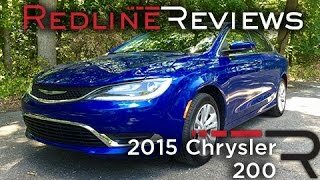 However we believe there is one more thing which might interest you and that’s the vast list of exterior color options for your Chrysler 200 Sedan 2015. 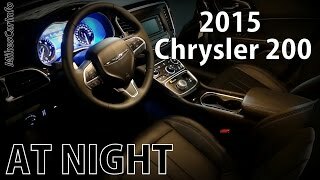 Chrysler 200 Sedan 2015 as standard will be powered by a 2.4 Liter four-Cylinder Tigershark engine delivering total output of 184 hp and peak torque of 235 nm paired to nine-speed automatic transmission. 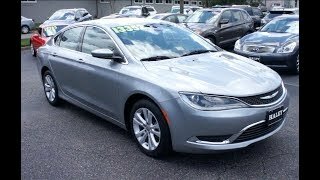 However as option Chrysler 200 Sedan 2015 offers mega 3.6 Liter Pentastar V6 engine delivering 295 hp and peak torque of 355 nm, mated to same nine-speed automatic transmission.